Enhance the style and durability of your favourite timepiece with a Perlon Strap from WatchBandit. 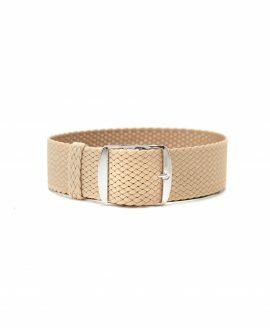 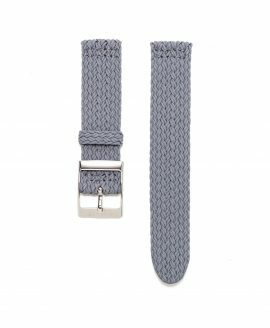 Our custom watch straps are made to high quality standards, making them suitable for all watches, even the most luxurious watch designs on the market today. 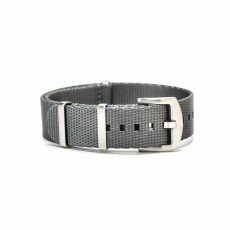 You can use a perlon replacement watchband to substitute a worn out strap or to make your watch more suitable for rugged active wear. We carry a large selection of at least 18 colors like classic black, blue, red or orange in our collection, so you can purchase multiple bands to have something to coordinate with everything in your wardrobe. 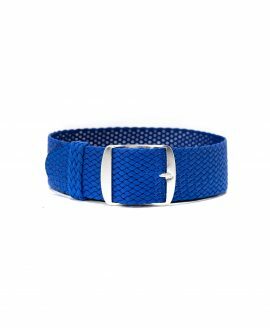 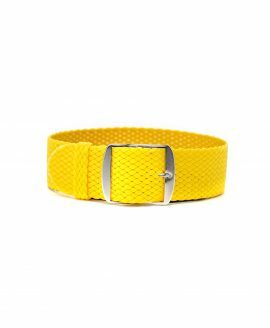 Perlon straps are made out of a polymer called Nylon 6 that is unlike any other fibre used to create watch straps. Most nylons are made by condensing materials to create a continuous material. Perlon is constructed by joining tiny rings of fibres together to create a weave. 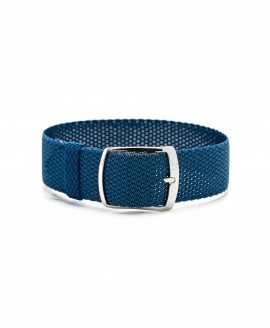 The result is a form of nylon that is exceptionally strong and that can resist ripping and wear and tear better than other forms of nylon. 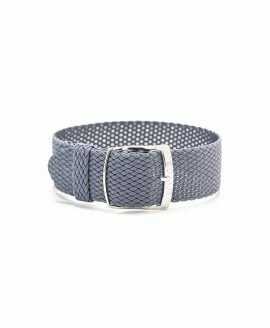 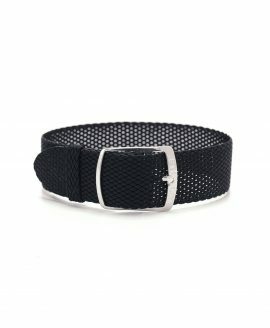 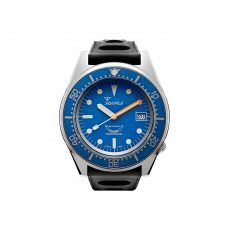 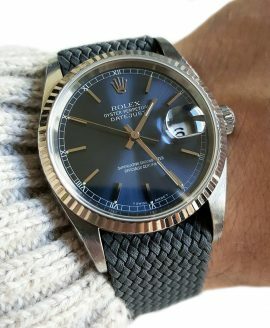 As a result, it is a great choice for wearing outdoors, during sports and any other time when there’s danger of your watch becoming hooked or caught on something. 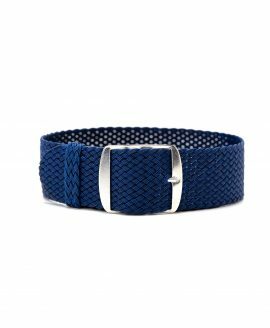 Our custom watch straps are plaited, which adds extra strength to the material. 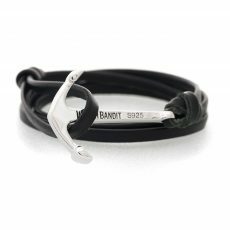 The WatchBandit collection combines the finest grade of 1mm thick Perlon with stainless steel hardware that is tarnish and corrosion resistant. 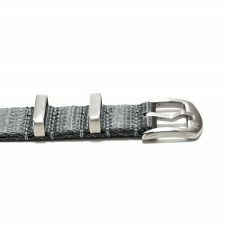 We offer the majority of the Perlon straps in three different widths – 18, 20, 22 & 24mm – and all of them are fully adjustable for length.